The Body Wave Lace Front Wigs Guide. 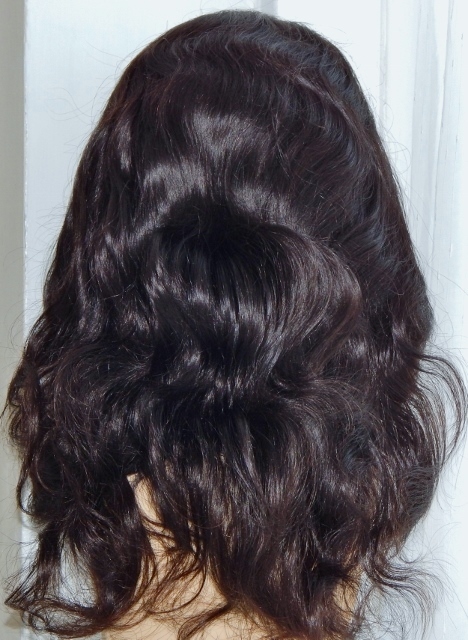 The body wave texture looks great on lace front wigs. The texture resembles… well… waves. It’s not important to note that the body wave is the lightest wavy texture for wigs, the water wave and deep wave being stronger. It’s really proved a winner with ladies that like their straight hair with a little more character and texture. The waves are very large or loose so it’s never mistaken for curly hair either at a distance or up close. Whatever your reason for wearing a wig, this is the place to find out why wearing this texture can really give you a glamorous nonchalant look. Who Can Wear Body Wave Lace Front Wigs? Finally, a free for all! This texture this is universal so whatever your ethnicity or natural hair texture there’s a body wave lace front wig or full lace wig for with your name on it. A quick note to say that if you’re natural hair texture is afro, then choose a body wave wig made from Yaki straight, or light Yaki straight for the most authentic looking full lace wig. If you’ve read any of our other pages on lace wig textures, then you’ll be well versed in the fact that body wave lace wigs are available in a range of lengths from 10 – 24 inches. However prices for lengths beyond 18 inches tend to be significantly higher in price. There are also places that offer 8 – 36 inches such as… yours truly – Hooray! It’s important to remember to decide whether you only want 100% Remy hair for your wigs for human hair wigs or whether non-remy lace wigs are also an option. What’s more, keep in mind that if you plan to have your wig styled and cut in a way that involves taking length off the bottom, it may be best to go for a longer slightly longer length to begin with, or just not cut off the bottom! Malaysian, Brazilian, Indian and Chinese remy hair naturally comes in black to dark brown with the other colours occurring due to the being dyed. You can find colours in as light as blonde with body wave full lace wigs however many suppliers tend to leave wigs in completely light colours for the custom section (where you customise the entire wig to your requirements). So you’re less likely to find blonde body wave wigs in the ready to wear in stock section. If you’re still wondering what colours exist have a look at our lace wig colour guide to see what’s on the market. Lighter colours can be expensive because of the permanent dyeing process, so you may choose to have a darker base colour with 1- 2 highlight colours over about 30% of the wig instead. Peruse of the Peruke’s Caring For Wigs Guide and have a look at these top five tips to get you started. 1. Always wash your body wave lace wig on a mannequin head (a polystyrene/Styrofoam head is fine). This gives you full control over the process. 2. Use a shampoo for chemically treated hair as the wave has been permanently set. 3. Never blow dry your body wave wig with a hooded dryer or otherwise! This will damage the hair and shrinks the lace of the wig and you can’t wear a wig that’s too small! As a general rule you should not use straighteners as the set wave pattern may not return to its uniform wave state. If you do, use a low setting and don’t do it often. 4. Use deep conditioner like Silicon Mix conditioner as well as an anti frizz serum when wet to reduce frizz on on your body wave full lace wig. Avoid anything with mineral oils as this ruins the hair. Moisturize with a water based moisturiser or an oil free spray. If you’re a DIYer then why not mix 70% water with 30% glycerine for your own light moisturiser. 5. Use a Denman brush for your body wave lace front wig and only brush your wig when wet. Use a larger tooth comb for when it’s dry to avoid frizziness. Don’t over comb the hair when wet as it can contribute to shedding of your beautiful body wave full lace wig! There you have it, your belt and braces Body Wave Lace Front Wigs Guide packaged for you.